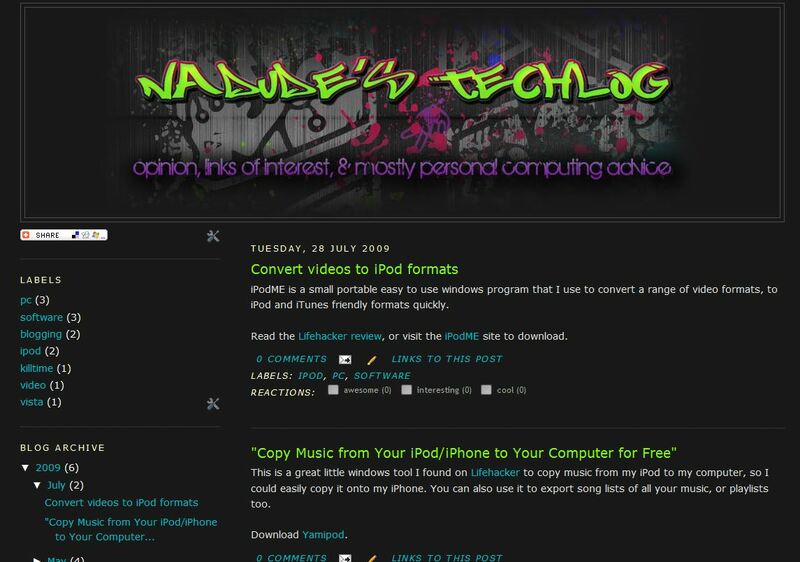 Welcome back to the revamped nadude.com! I only spent a couple days setting up and writing a few entries on blogspot last year. And now the blog has been moved to wordpress, which is a lot more powerful, and will soon be writing regularly! Let me know what kind of stuff you’d like to see! This entry was posted by Nadeem Bakhsh on August 15, 2010 at 12:12 am, and is filed under blog. Follow any responses to this post through RSS 2.0.You can leave a response or trackback from your own site.